This weekend I went to Rockingham for the last day of the Castaways Sculpture Awards 2013. 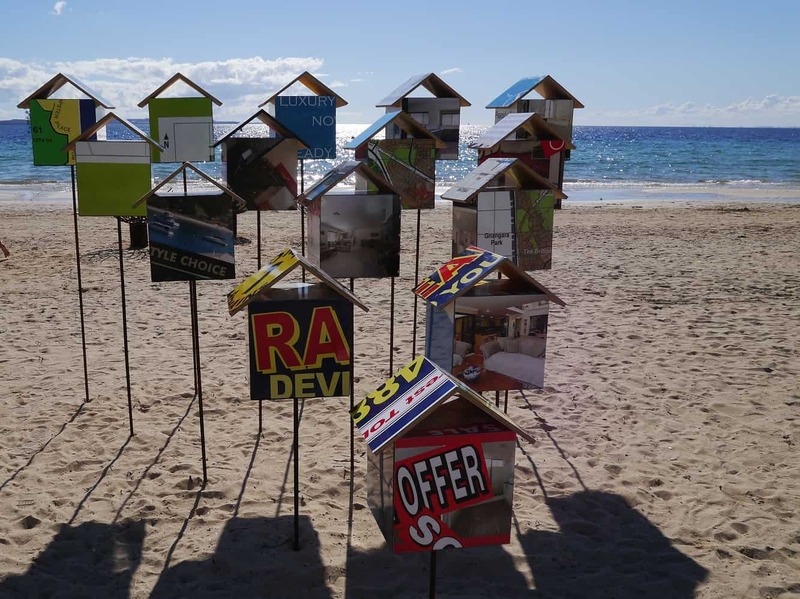 The exhibition runs for 9 days on the Rockingham foreshore and aims to raise the profile of recycling and environmental sustainability through art. All exhibits must have a recycled component. The artwork on display was incredibly diverse, and what made it even more so (and something that I particularly loved about the show) was the fact that professional artists and sculptors were exhibiting alongside primary and secondary school contributors. The standard was really high and it was a fantastic exhibition. 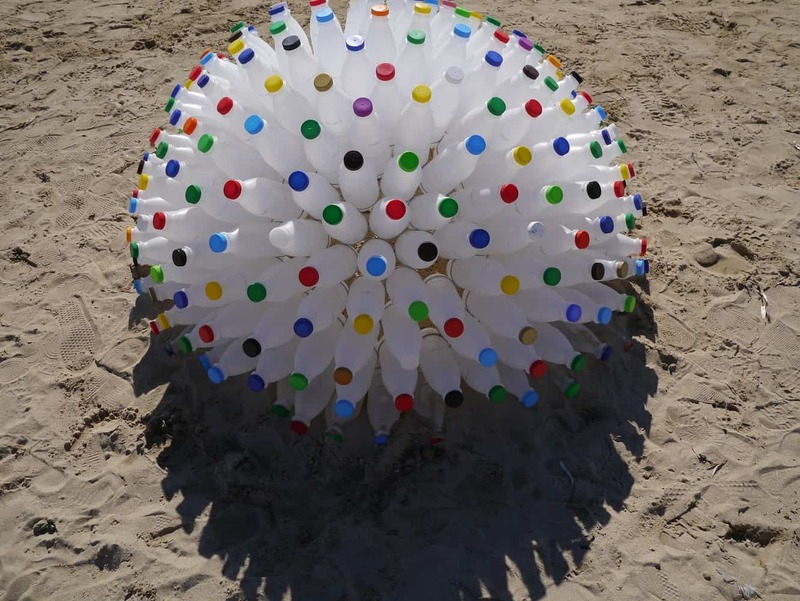 It was great to spot all the different materials that had been used, from bicycle wheels and old mattress frames to plastic bottles and old tubing. My favourites had to be the ones where the artist was clearly trying to put across a message regarding environmental responsibility as well as simply using old materials to create something beautiful. I loved this one, called Lactose Monster by Joan Johnson. 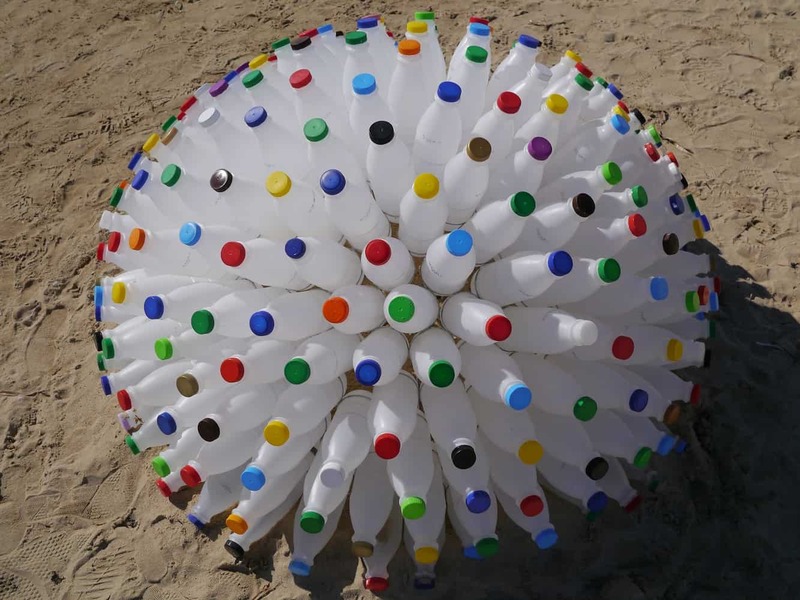 With the brightly coloured plastic lids it looks almost playful, but those plastic bottles make me feel that actually it’s not so friendly underneath, but sinister, polluting and toxic. I also thought this sculpture was great. It’s called Location, Location, Location, by Carmel Warner. 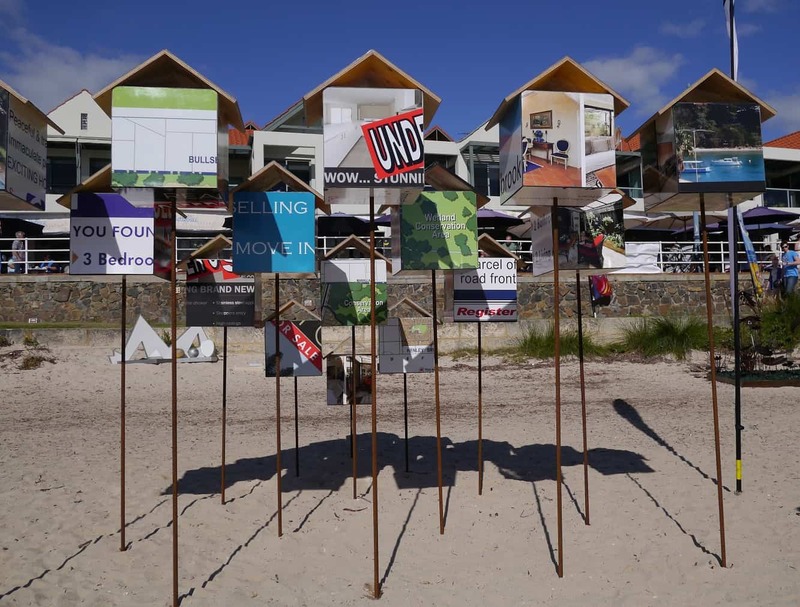 It is made of recycled aluminium and mild steel signs, plywood, glue and cement. It’s so simple but stands out and I love the message the artist is trying to get across. This sculpture was the Alcoa second award winner for recycled sculpture with an aluminium component. There were over 60 sculptures on display and the pictures below are just a sample of them. If you’re interested, you can see the entire catalogue with pictures and the artists’ interpretations of their work here. I was looking for some information on the Castaways exhibition (the milk monster one actually) and came across your site. It looks great – thanks for sharing your photos and ideas.